I am sharing with you guys some tips to stay fresh and healthy this summer. We all know that most of us are going out of town for beach parties and picnics at the park. Although others use to just stay indoors and catch up on their favorite TV series. 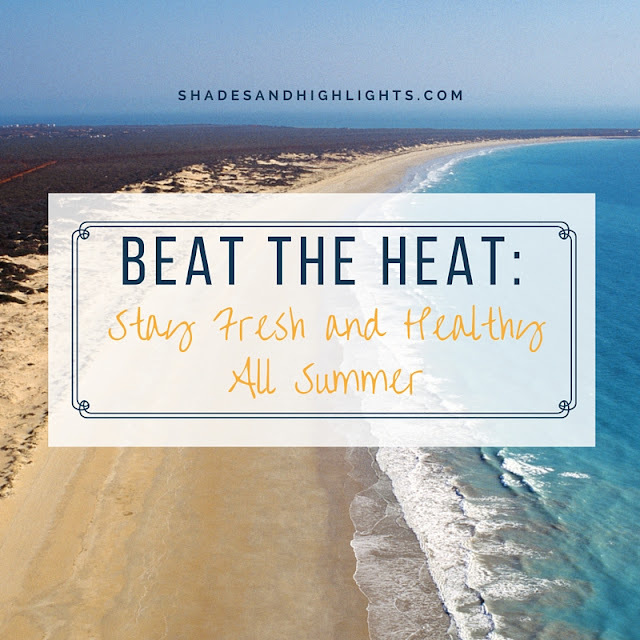 I have these tips for all of you to make your summer this year a great one! Drink plenty of water to keep yourself hydrated and to prevent migraines and heat stroke. If you want something with extra flavor for a refresher, fruit juice, and milk teas are the bomb! If you are just planning to just stay at home, watch some flicks or read books, then you still have to have that glass of water at reach. When heading outdoors especially to the beach or pool, don't forget to lather up a good amount of sunscreen. Apply it all over your body. There are also sunscreens that are safe to use on your face as well. Check out the latest Belo Essentials to keep the heat and harmful UV rays from taking over your summer. Not only your skin needs protection, you must also protect your eyes as well. Time to sport those awesome and cool looking sunglasses but make sure the lenses can protect you from UV rays. Wear thin, breathable, and loose clothing to move more freely and to prevent excessive sweating and to stay fresh all day. If you wear makeup, keep it to a minimum, the lesser stuff you put on your face, the better. Let your skin breathe and slay that "no makeup look". Bring your favorite fresh yet mild spritz anywhere you go. Don't let that amoy araw and amoy pawis ruin it all. My current fave scent is from Penshoppe and it is their Almost Summer line in Rose. Lastly, enjoy, have fun and make great memories! Summer is all about having fun and spending quality time with family and friends. So, just enjoy and have fun. Life's too short to waste precious time with loved ones. If you want to know about my summer essentials, click here. Until then, have a fantabulous summer 2016!